AT&T and T-Mobile already got together to help customers in the aftermath of Hurricane Sandy, but Verizon, whose networks fared a little better than the others through the storm, is offering up some of their own help as well. Big Red has deployed Wireless Emergency Communication Centers to certain sites to help out. These centers will let people charge their devices and have computers on-site to help communicate if need be. There are also whole Verizon Communication Stores on-wheels that are being deployed as well that will allow people to make free calls to friends and family if needed. Verizon says 96% of their network is up and running, even in some of the hardest hit areas of the Northeast, but these are still welcome sights to anyone that was affected by the franken-storm. Verizon Wireless continues to assist recovery efforts in the Northeastern United States in the aftermath of Hurricane Sandy. The company today deployed Wireless Emergency Communication Centers (WECCs) on Staten Island, at Monmouth (NJ) University, and at two locations in Toms River NJ. WECCs offer public access to device-charging and computer work stations, as well as wireless phones and other devices that visitors can use to contact family and friends. We also have mobile stores-on-wheels that serve as fully functioning Verizon Wireless Communications Stores in place at locations on Staten Island and in Sea Girt NJ and Howell NJ. We’re offering device charging and free domestic phone calls to local residents at all of our open store locations. We continue to re-open stores throughout the area and are increasing device and accessory inventories at stores to meet the needs of our customers. In terms of our network, we have seen continued improvement overnight with now more than 96 percent of our cell sites in service and serving our customers in the impacted area, including some of the hardest hit areas of the Northeast. 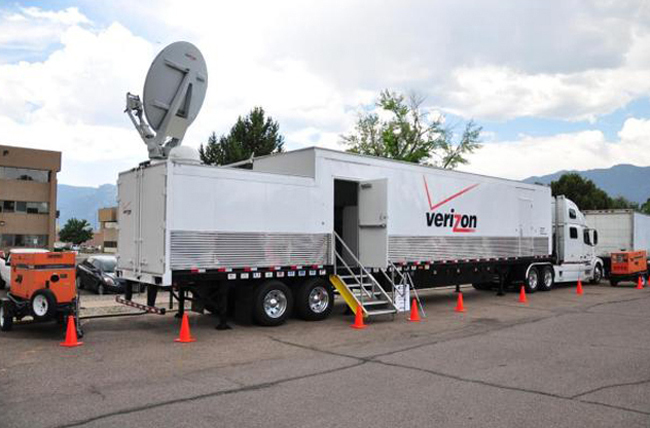 Verizon Wireless continues to deploy its mobile disaster recovery and emergency network assets, including cell sites on wheels and mobile generators, to fortify our network throughout the Northeast where telecommunications infrastructure, utility/power and/or flood damage are issues. Samsung Stratosphere 2 Poses in Press Images on Twitter, the Keyboard Lives on!